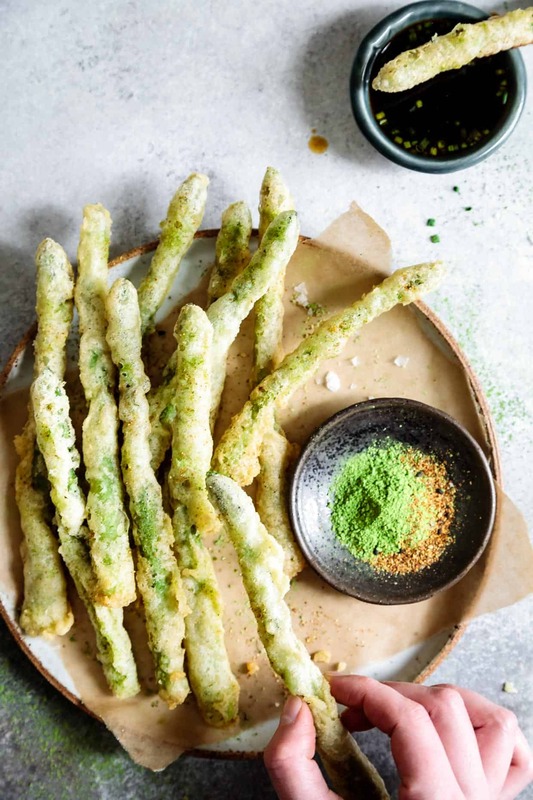 Ultra-crispy gluten-free tempura asparagus spears fried up with a rice flour and egg batter, then sprinkled with togarashi and earthy matcha salt to give these spears lots of sweet, savory, and salty matcha umami. While you will likely find tempura something on most Japanese restaurant menus in the States, our experience when visiting Japan was much different. In Japan, we were told, many chefs train to become culinary masters of specific foods, with tempura being just one of them (among others: soba, tofu, ramen, tonkatsu, sushi, etc.). Even within each cuisine, there are limitless variations; The ramen show we attended had, I kid you not, at least 30 different styles ramen exhibited. We spent our first night in japan eating just tempura and the meal was varied, flavorful, and so satisfying – I would be totally happy eating only tempura for the rest of my life, I thought (and then I again thought that about soba and tofu). While we only dined at the one tempura restaurant on our trip, I can only imagine the diversity in recipes, flavors, and techniques from chef to chef. I urge you to travel to Japan, if only for the tempura. 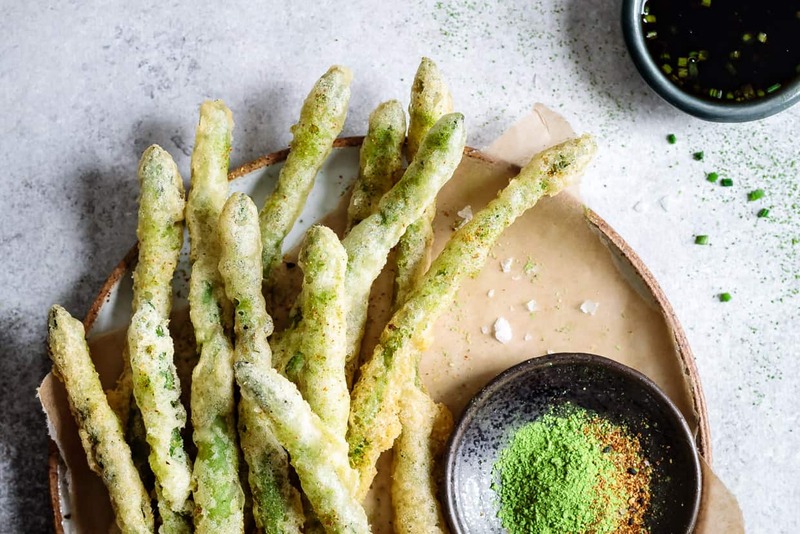 But if gluten is your enemy, my gluten-free tempura asparagus with matcha salt is an attempt to capture that crunch, flavor, and preparation in a recipe without wheat. A couple years ago, a sushi chef here in the States told us he traditionally made tempura with rice flour, but he didn’t make it that way anymore because it was too expensive and he noticed that customers didn’t care. 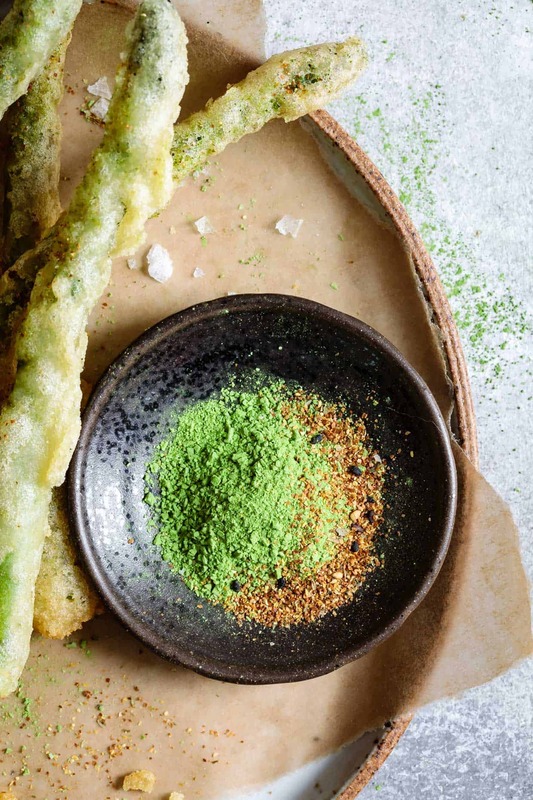 A bit of research reveals that, while most tempura recipes do call for wheat-based flour, the traditional Japanese way to fry way long ago was with rice flour. 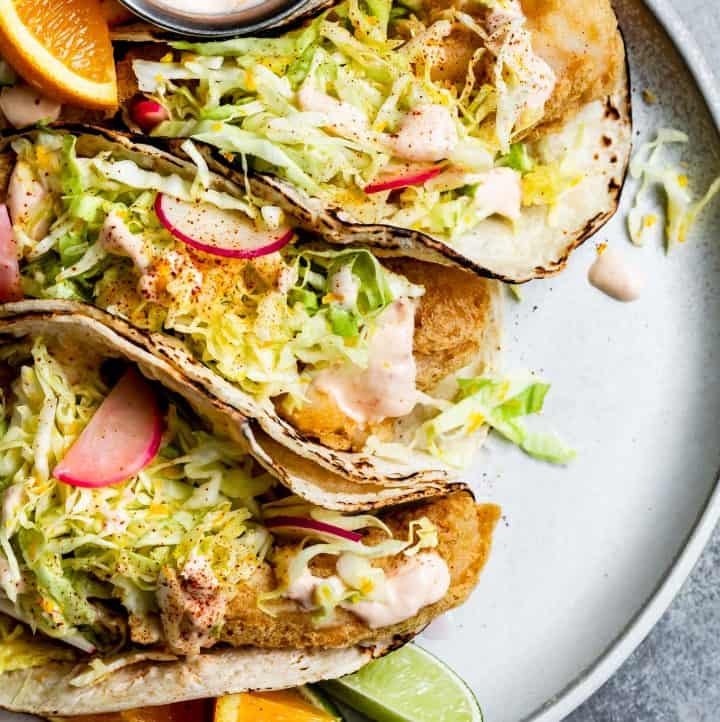 That is, until the Portugese introduced flour and egg-based batters to Japan and tempura as we know it was born. 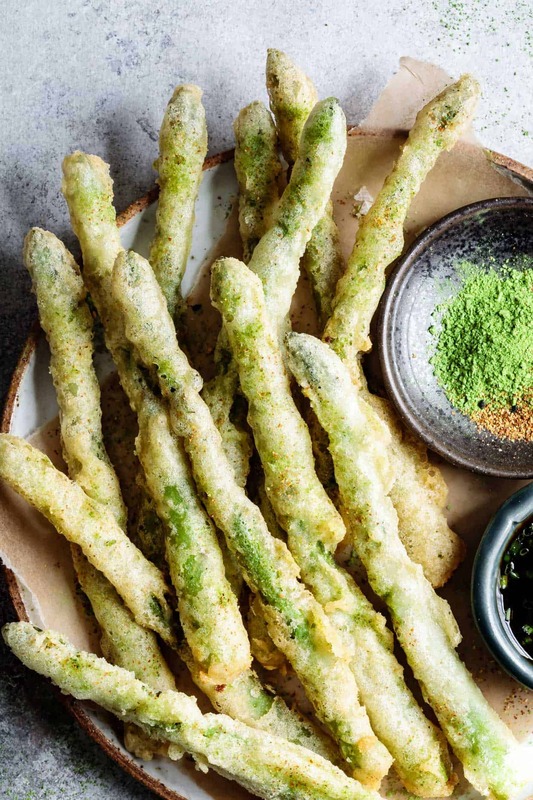 The recipe I’ve shared here takes that traditional rice flour fry and combines it with egg-based tempura batter for a gluten-free version that is ultra crispy. Consider it my nod to that sushi chef who inspired the rice flour in this batter. Now that we’ve got a kid, we don’t get out as much as we used to – at least not to fancy restaurants where it would definitely be frowned upon for Zoella to spill her drink on the table, poop in the high chair, then steal the tip on the way out (ask my mom, y’all, I did that as a toddler). When we do go out for the occasional date, it’s pretty much always to the same place – Iyasare – where we order the same thing, kakiage tempura with black tiger shrimp (it is so not gluten-free, but so worth migraine potential). It’s served with matcha salt and togarashi and I crave it for every meal. With spring gently waving hello to winter, asparagus is starting to show off at the market and I can’t resist a flirty vegetable. 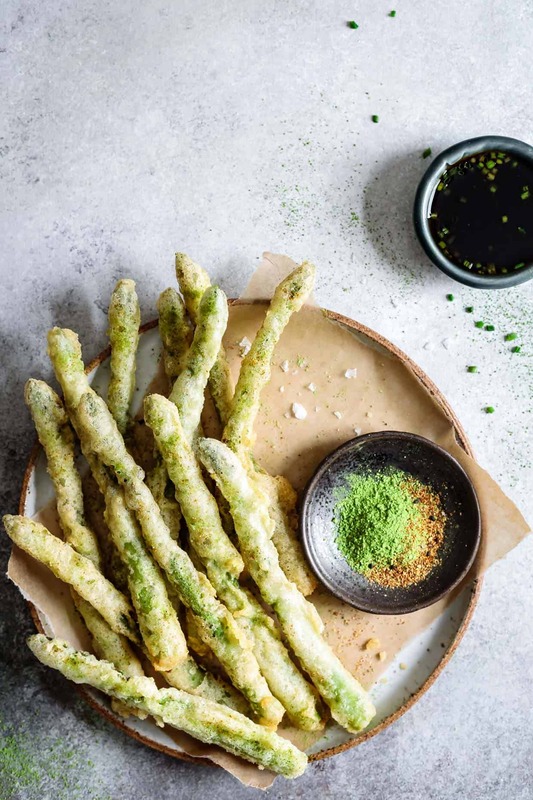 In my first savory matcha pairing, these gluten-free tempura asparagus spears sprinkled with a vibrant matcha salt and spicy togarashi give you that crispy can’t-put-down tempura texture with lots of sweet, savory, and salty matcha umami. 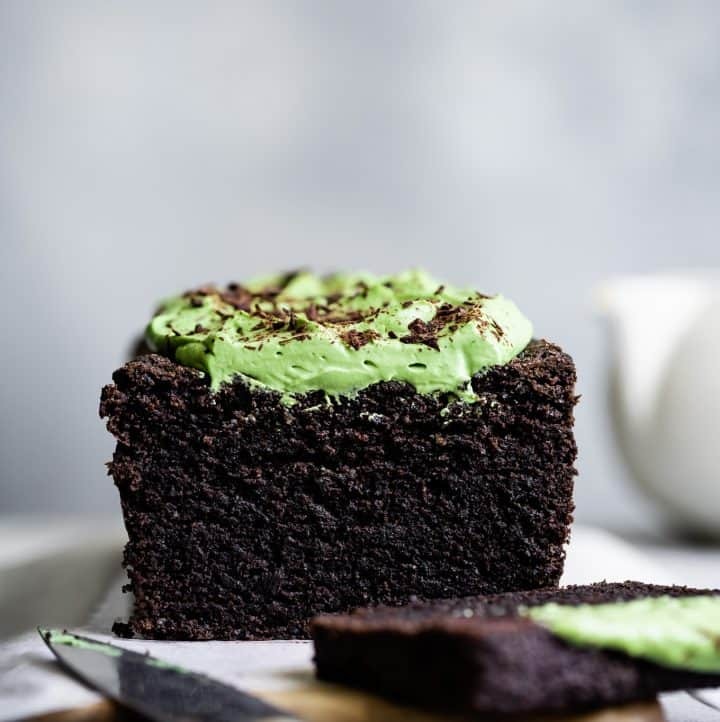 Drawing inspiration from Iyasare, I’ve got a bowl of matcha salt nestled on the counter next to my table salt and pepper to sprinkle on all the things. What’s next? Popcorn? Heat 1 to 1½ inches of oil in a large pot over medium-high heat until it reaches 350°F. Adjust the heat to keep the oil at 350°F. Set a paper-towel lined wire rack near the stove. 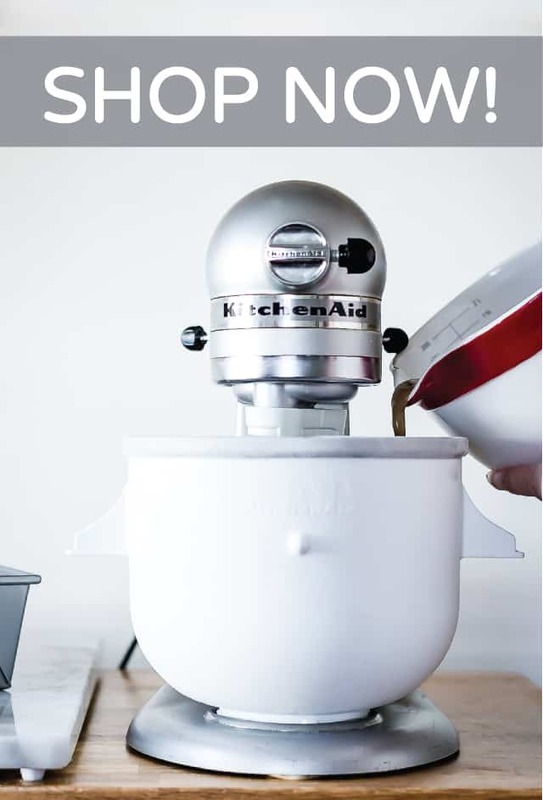 Whisk together white rice flour, salt, and baking soda in a medium or large mixing bowl. 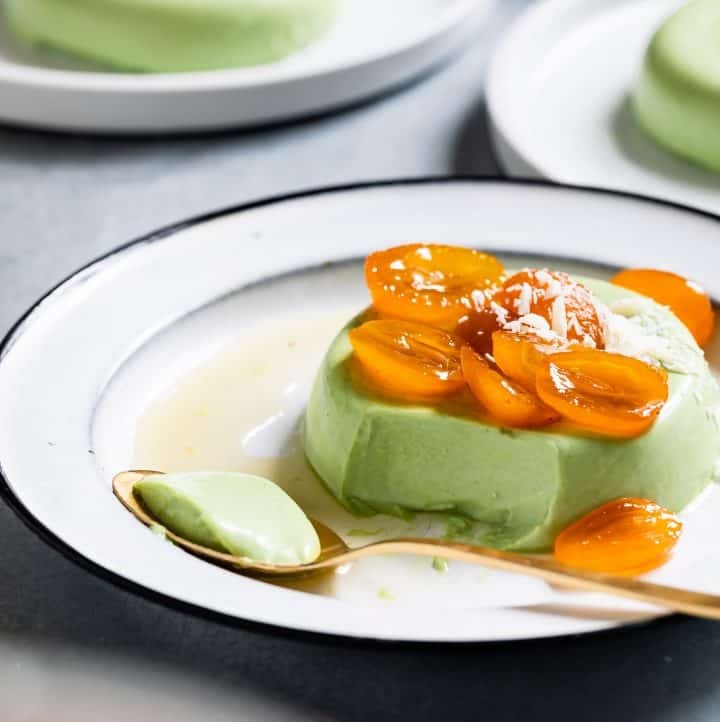 In a small mixing bowl, whisk together egg yolk and seltzer water until smooth and fizzy. Pour the egg and water into the flour and mix gently with a fork until just combined. 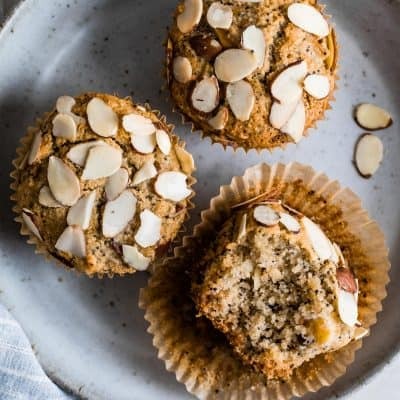 Don't over mix - It is okay if there are still some dry clumps, but just make sure to mix in the flour from the bottom of the bowl. Dip asparagus into the batter, making sure to have batter all over the spear. 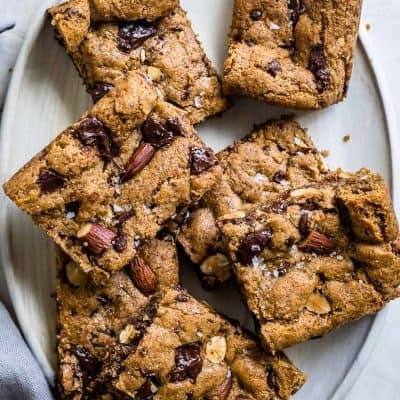 Shake off any excess batter. 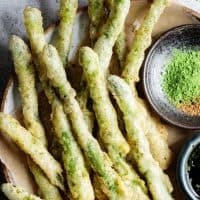 Working three at a time (more or less depending on the size of your pot), drop the asparagus in the oil (being careful not to burn yourself) and fry for 1-3 minutes, turning gently with a spoon until crispy and light golden. Use a slotted spoon to transfer each spear to the paper-towel lined wire rack. Repeat with remaining asparagus. 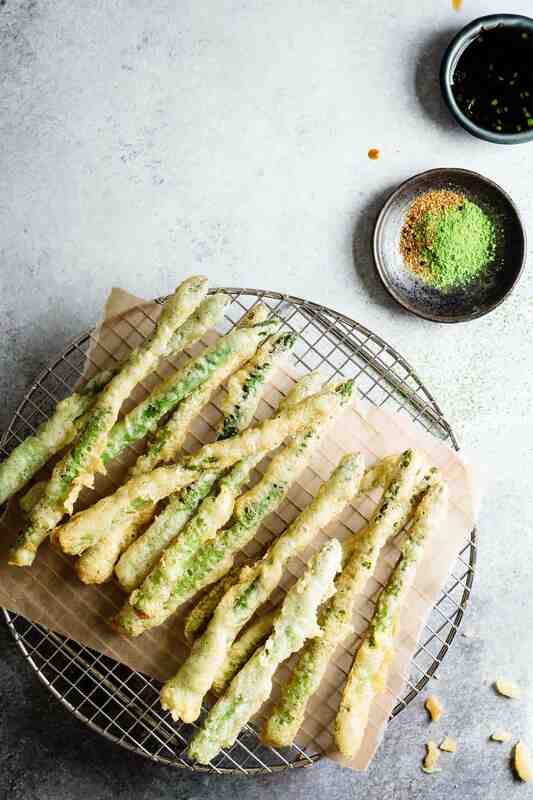 Serve sprinkled with matcha salt, togarashi, and ponzu dipping sauce. 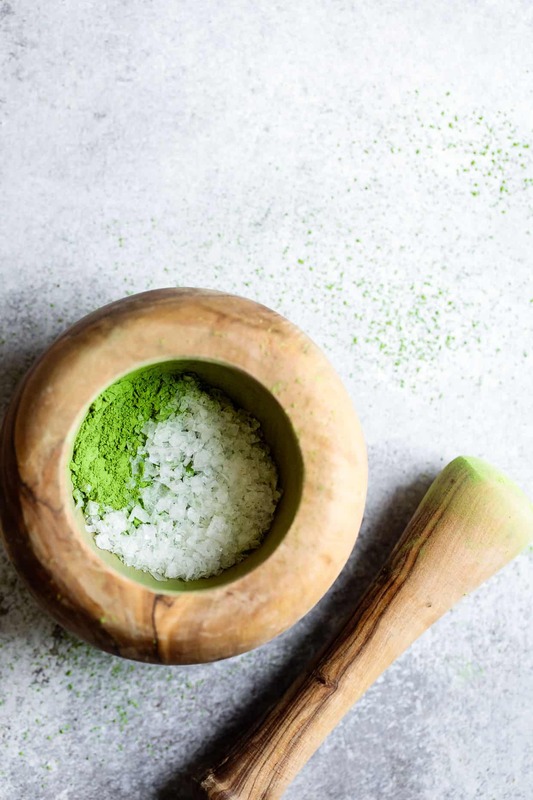 Grind the salt and matcha together with a mortar and pestle until fine. That's it - it's so easy. 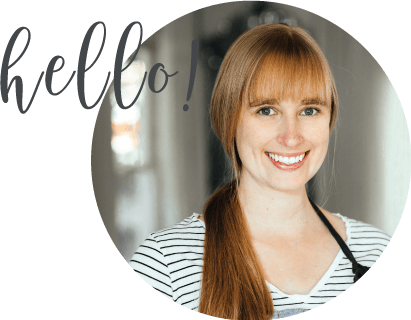 Whisk together all of the ingredients in a metal bowl until combined. Garnish with chives if you wish. OMG! 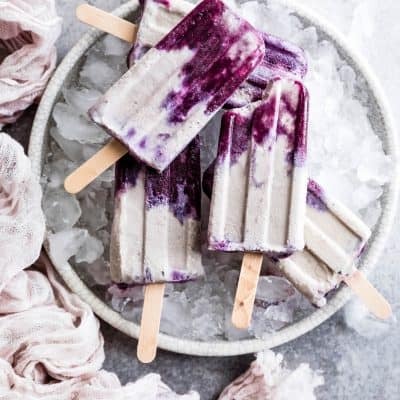 This looks so tasty! 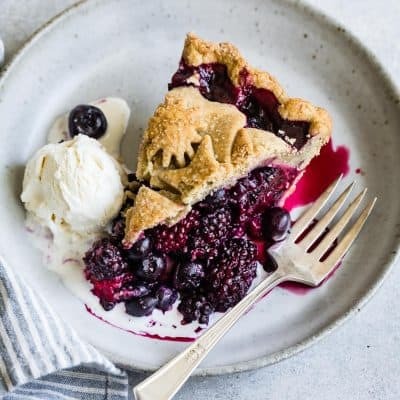 I am trying this recipe! Lyss took me to a tempura restaurant in Tokyo and it was just as life-changing as your experience. The restaurant was a long counter and basically operated like a chef’s table with dish after dish of hot, flaky tempura covered foods being placed in front of you one after another. Mmmm. 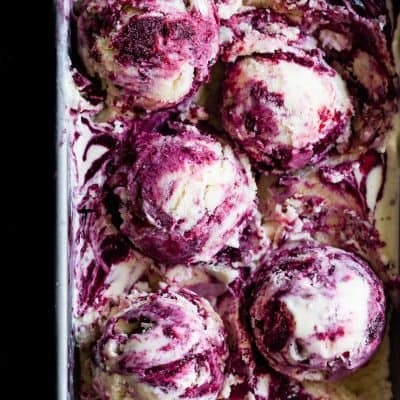 Definitely gonna need to re-live that night with this recipe! I have always thought that rice flour is great for tempura.. Rice flour and rice beer together seem to make especially flavorful and airy batters. I have never tried using egg yolk for tempura though, definitely intrigued. 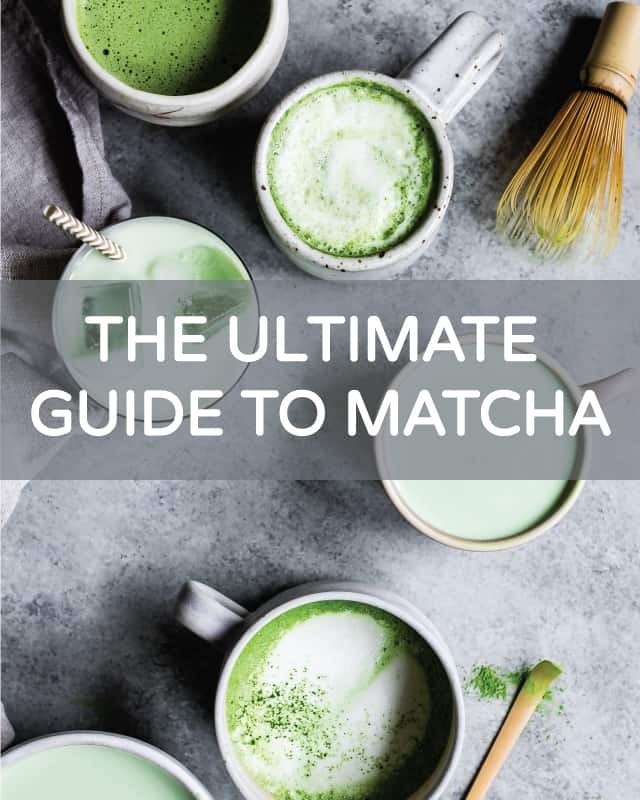 Love your matcha salt mix! This immediately went to the top of my “to make” queue. 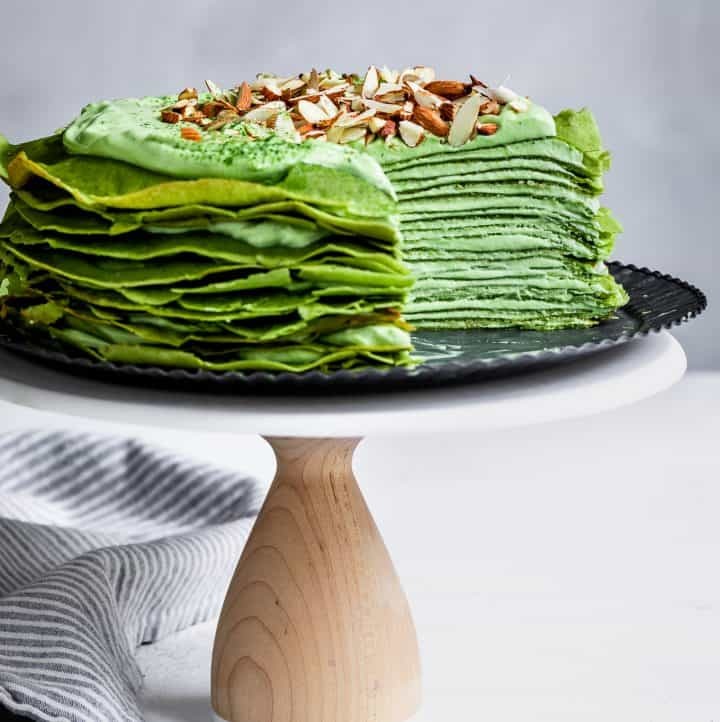 I thought it was green beans at first but asparagus is even better because it’s unexpected and so seasonal! 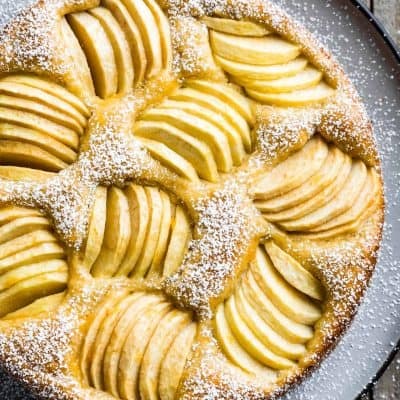 Love this idea and the crispy edges you’ve attained.